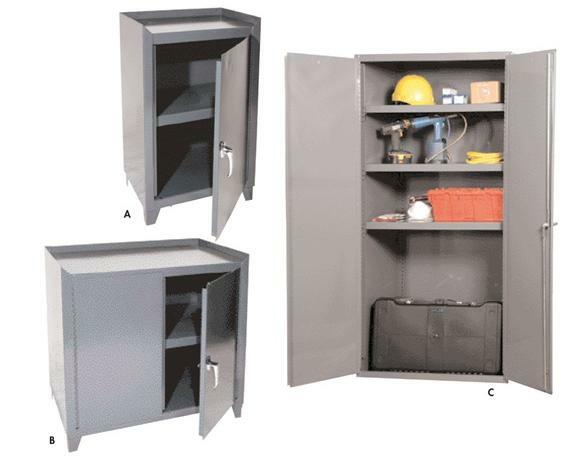 Heavy-duty all steel 14 ga. material is completely welded to create the sturdiest cabinet made. Choose from ten models to store, sort and organize. Construction features not found anywhere else. Ideal for factories, warehouses or offices. 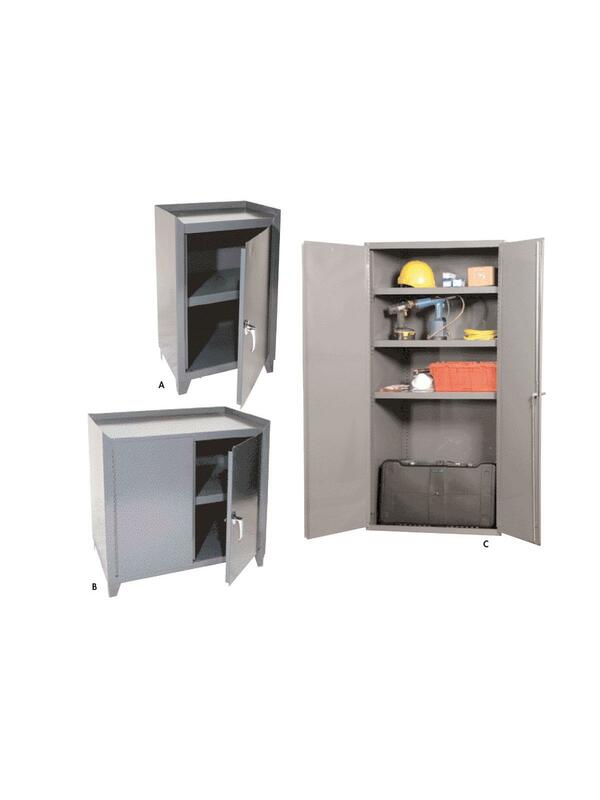 Securely store tools, parts and supplies. Doors swing effortlessly, thanks to full length piano hinges. Doors also feature three point locking handle and two keys. Durable gray powder coat finish. FOB Shipping Point. 36 x 18 x 48"36 18 48"